Hundreds of people squeezed into an event room at a hotel in Colorado Springs less than a week after 50 muslims were shot dead in New Zealand. They’re there to pray, to mourn, to show solidarity, and to ponder what comes next. Kamel Elwazeir, president of the Islamic Society of Colorado Springs, helped organize the event. Colorado Springs is best-known for its large concentration of Christian churches. But the speakers at the vigil that evening were from a rainbow of local faith communities. There were Buddhists in maroon robes, Jews wearing yarmulkes, and Christian pastors in black and white collars. Police officers in uniform offered their promise that they would stand with and serve the Muslim community and city government officials also lined up for the podium. Many of the speakers addressed the tragic frequency of recent attacks on houses of worship—from mosques, to Sikh temples, to Black churches, to synagogues. “The list is ridiculously long,” said Rabbi Jay Sherwood of Temple Shalom. Just two days after this vigil, the side of a mosque in southern California was found burned and graffitied with direct references to the New Zealand attacks. According to the latest numbers from the Council on American-Islamic Relations, hate crimes against muslims went up nearly 800% between 2014 and 2017. And they continued to rise into 2018. The New Zealand attacks have only heightened the feelings of insecurity for Muslim communities here. Jodeh said her mosque experienced a steep drop in attendance the Friday of the New Zealand attacks. “And I know it was out of sheer fear,” she said. But for those who continue to pray at the mosque, they have increased police and sheriff presence and patrol “and that will continue to happen indefinitely,” Jodeh said. She said the continued assaults leave her weary and sometimes speechless. Jodeh found President Trump’s Twitter response to the New Zealand attacks lacking. But she said every time an incident like this happens, allies show up from every corner of her community -- religious and secular alike. 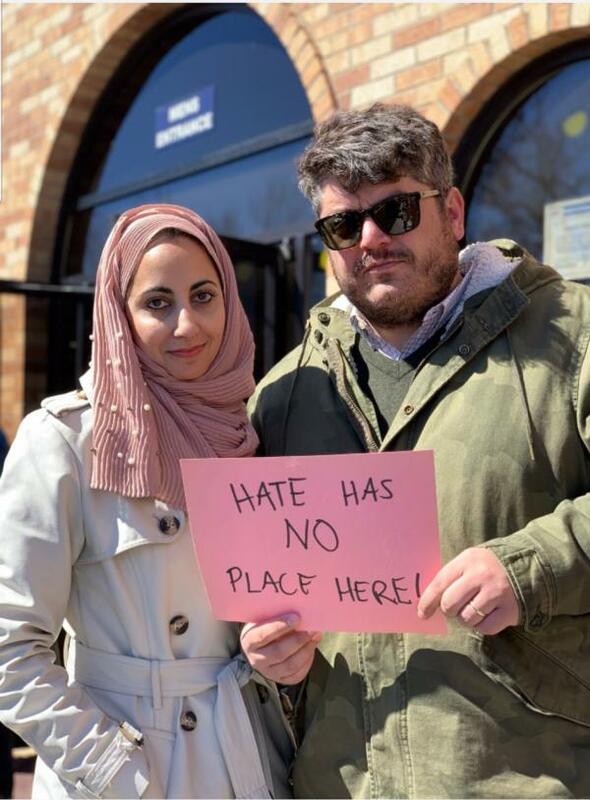 Nearly 400 miles away, Luna Banuri, with the Utah Muslim Civic League, echoed this sentiment. 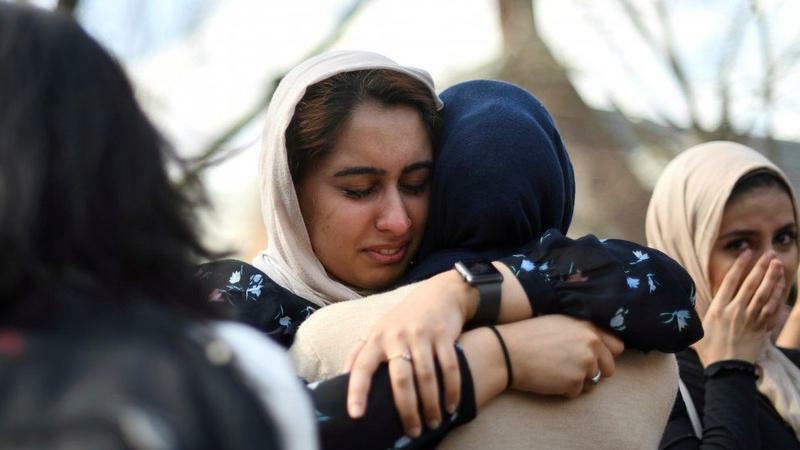 She said in Salt Lake City, people rallied to support her Muslim community after the New Zealand attacks. Including the police and FBI. Banuri said that’s because young muslims have seen more violence as attitudes towards them have shifted over the last few years. She and her daughter don’t wear hijabs so she said they still feel relatively safe walking around town. Banuri said her sons have been harassed on public transit and at school. “It is extremely scary,” she said. She said her family moved to Utah six years ago from Chicago and stayed there because they felt welcome. And she said they are still surrounded by support. But she said she’d like to see elected leaders as well as leaders in the Mormon church take even more of a stand specifically against Islamophobia and white nationalism. Back at the vigil in Colorado Springs, Rabbi Jay Sherwood delivered the same sentiment in his closing message. 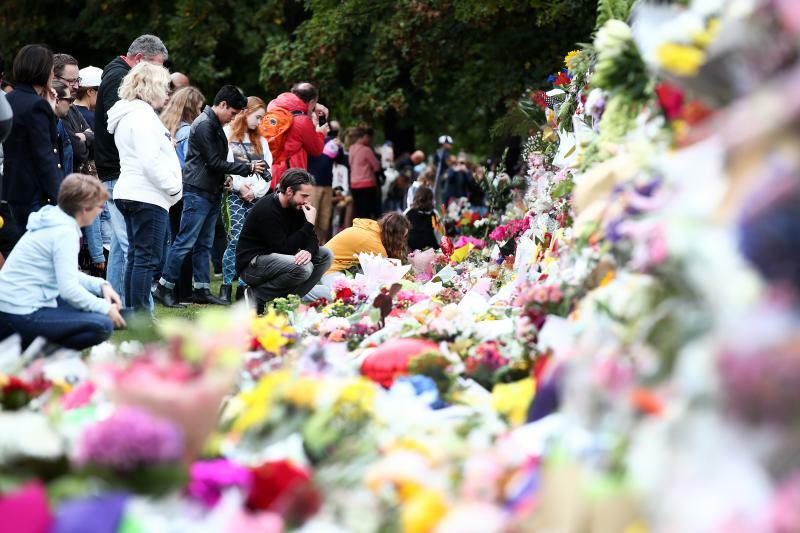 Residents of Christchurch, New Zealand, are trying to recover and heal following Friday's attack on two mosques, which claimed the lives of 50 people and left more than 30 others in the hospital. Police say the shooter — a 28-year-old Australian man who live-streamed the attack on Facebook and who is now in custody — likely acted alone. In the wake of the horrific attack, he left a community in pain.